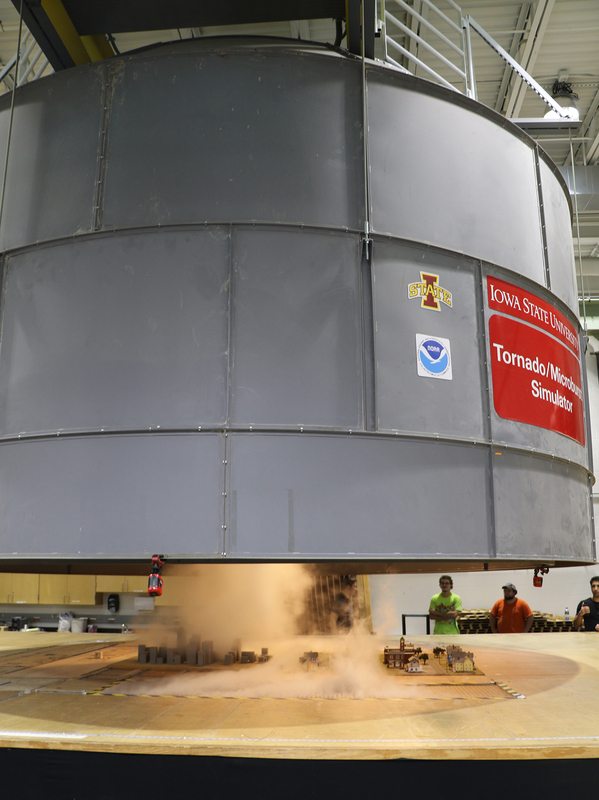 Iowa State’s tornado/microburst simulator in the Department of Aerospace Engineering has topped a list of natural disaster simulators. No stranger to news coverage, the Department of Aerospace Engineering’s tornado simulator in Howe Hall has once again achieved worldwide attention, landing in first place on a list of the most important natural disaster simulators in the United States. Produced by AccuWeather, the list looks at university facilities that play a key role in helping researchers and other officials in planning for the effects of natural disasters, which threaten lives and rack up billions of dollars in damage in the U.S. each year. 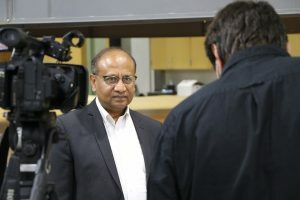 Planned, constructed and managed under the leadership of Department of Aerospace Engineering Professor Partha Sarkar, the tornado simulator was launched in 2004 and is part of the department’s Wind Simulation and Testing (WiST) Laboratory, which advances research in straight-line and rotating winds, aerodynamic testing, flow visualization and more. 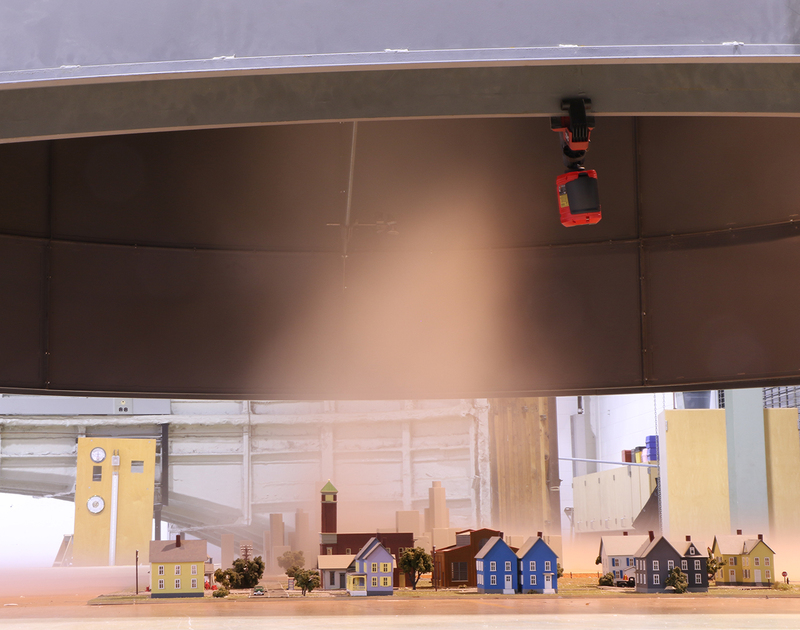 A miniature community begins to feel the effects of a simulated tornado. 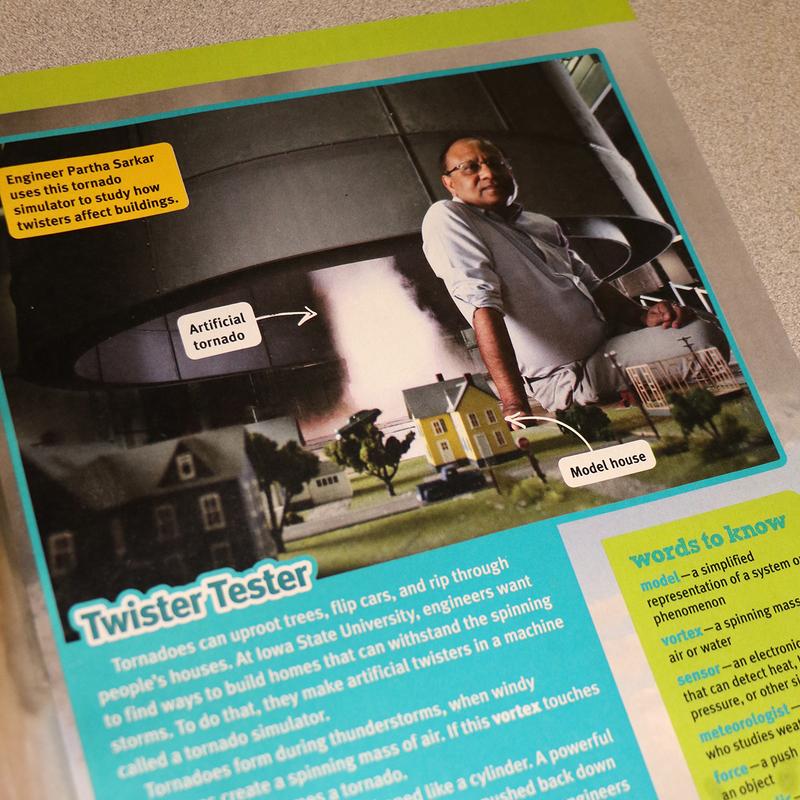 A 2015 feature story about the tornado simulator in Iowa State’s VISIONS magazine can be found here. 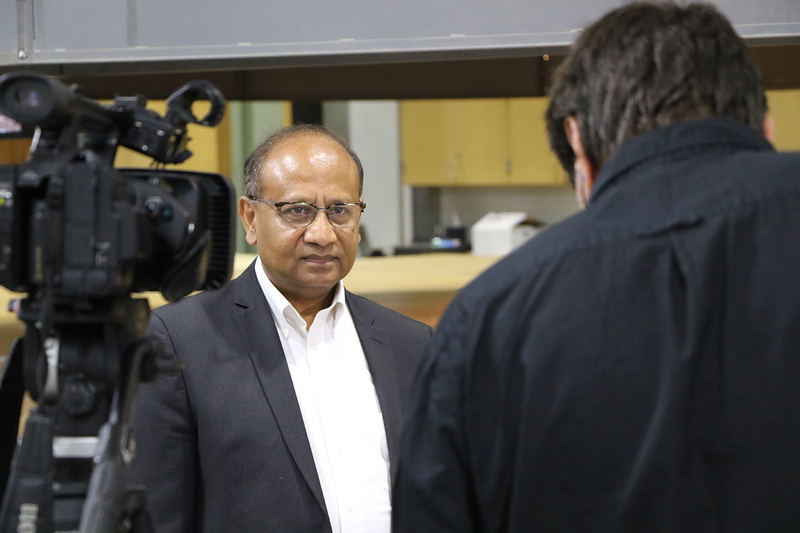 Dr. Partha Sarkar (left), creator of Iowa State’s tornado/microburst simulator, is interviewed by a filmmaker during creation of a production about the facility. 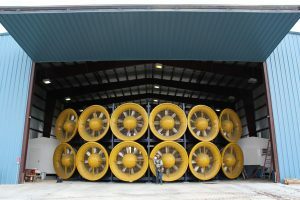 A Sarkar-Iowa State connection also exists with the number two facility on the AccuWeather list, the Wall of Wind Experimental Facility of Florida International University. 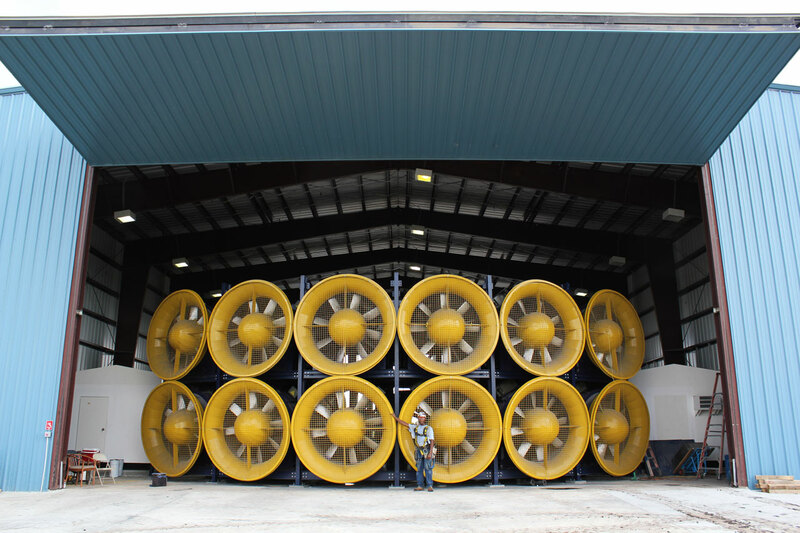 It allows for the study of hurricane-force winds on civil infrastructure, and was designed by a former doctoral student of Sarkar, Arindam Gan Chowdhury, who graduated with a Ph.D. in engineering mechanics in 2004. The AccuWeather story, with an accompanying video that includes Iowa State’s tornado simulator, is available here. A Yahoo News version of the story is available here. Dr. Sarkar and the tornado simulator were featured earlier in 2018 in Scholastic SuperScience magazine. At second place on the list, the Wall of Wind at Florida International University was designed by an Iowa State alumnus and former graduate student of Sarkar.